I had a whole bunch of thoughts and even a weekly meal plan I wanted to share this week, but I have a head cold so bad that I can’t really think straight. I actually drove myself to Walgreens to get Gatorade today and forgot what I was there for when I got there. I spent a few minutes wandering the store and eventually got my Gatorade. And two bags of Jellybeans… So please forgive me for the lack of content this week. 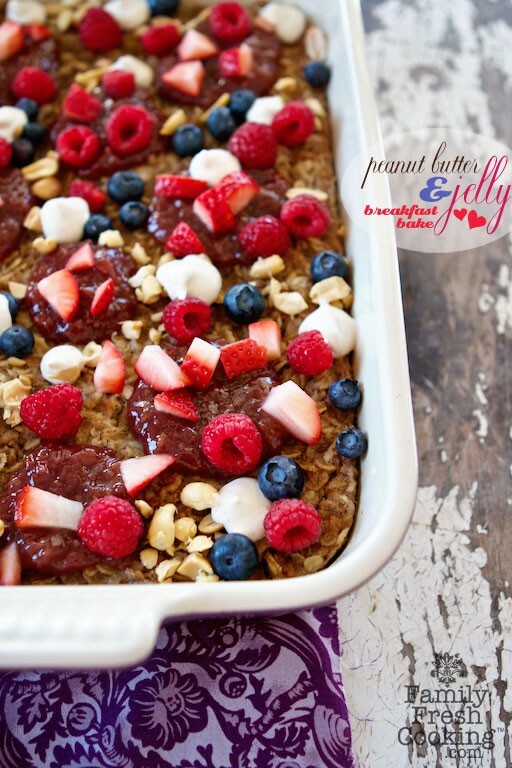 The oatmeal is actually peanut butter flavored and it’s the best baked oatmeal I’ve ever made. No joke. I will note that I used only 2 cups of almond milk. I also omitted the Uncle Sam cereal but used 4 cups of oatmeal. I used honey instead of Stevia too. Even the whipped cream I was totally skeptical about was incredible. I’m going to make this quite often and try it with some different toppings. I’m thinking a s’mores version, apple cinnamon, banana walnut… What really doesn’t go well with peanut butter!? 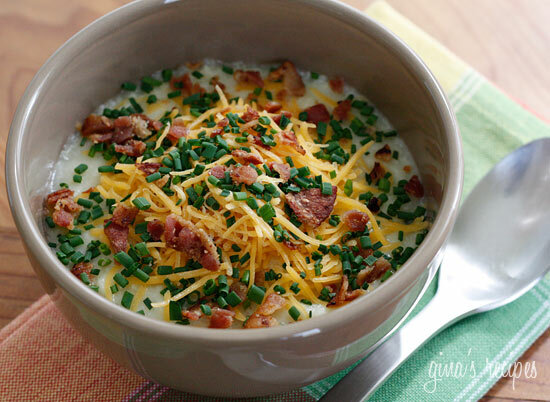 Another recipe that turned out really well was a baked potato soup from Skinnytaste. When I made this last night, I thought its seemed a little bland. I threw in some garlic salt and it tasted great when I had it for lunch today with some Cabot Extra Sharp Cheddar and crumbled bacon. It was cheap and easy to make so I’m sure I’ll be making this again soon! Another thing I didn’t have energy for today was exercise. The weather is finally warming up so I wanted to go for a longer run today, but there was just no way that was going to happen. The ability to breathe is pretty essential to being able to run. Luckily, I was able to get in a short-ish run on Tuesday. It was 25 and sunny so it felt a little like 30. Which still isn’t warm, but it’s warmer than the typical 5-10 degree highs we’ve been living with since Thanksgiving. Since the sun was higher and everything was melting, it really felt like spring. I got in 3.5 miles in my neighborhood, dodging cars and puddles since the sidewalks were still covered in a foot or more of snow in some areas. My pace was 9 minutes, 40 seconds per mile. Not bad for my first “home” run in months. 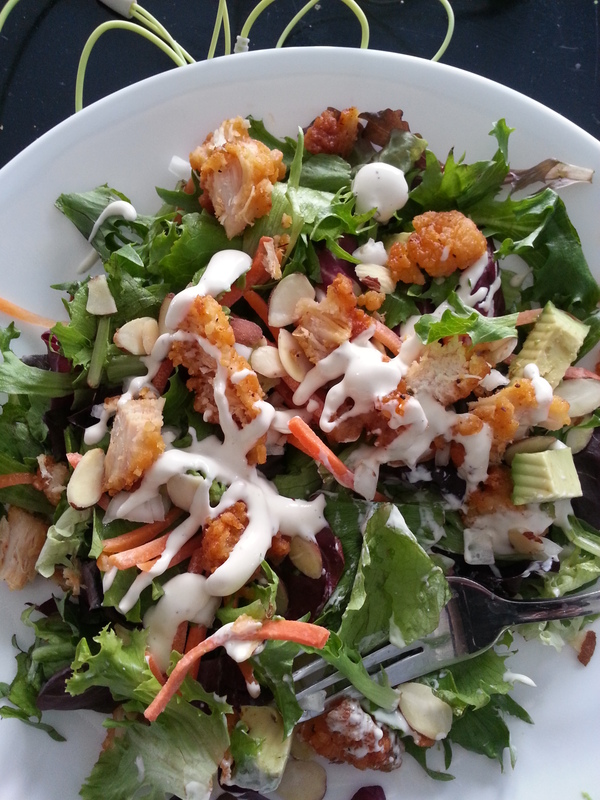 After I got done running, I made myself a little salad using a couple chicken wings that were leftover from dinner Sunday night, spring mix greens, matchstick carrots, a chopped cipollini onion, some diced avocado, sliced almonds, and a little bit of ranch. I know ranch and wings weren’t my very best options, but if I’m going to have something not so great for me, at least it was in a salad! That’s about all the updating I’ve got in me tonight. It’s time for a little more Airborne and Gatorade. Anyone else getting anxious for Spring! ?